Every time I make pie, I think of Snow White when she makes pie for Grumpy. So while I made my pie the other day, I thought, "I'm going to make this pie as if I was Snow White." Before Snow White began her baking, she always made sure she had a clean workspace to begin with. Now Snow White was lucky because she would just sing a song and all of her little animal friends would come by and do the hard work (here, you do the dishes with your teeny hands while I sweep the floor and sing a song), but you're on your own! 1. 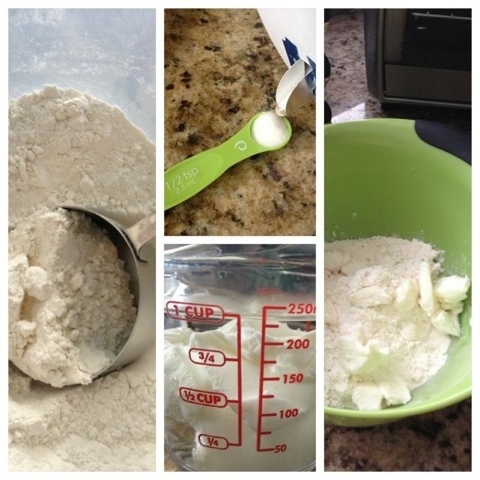 Blend 1 1/2 c. flour, 1/1 tsp. salt, and 1/2 c. shortening. I like to cut my shortening into my flour and salt because I think it makes the end product less flake-y. 2. 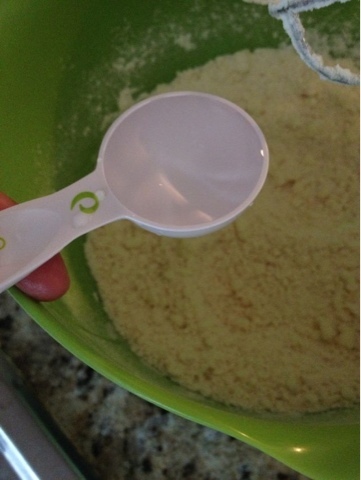 Gradually add water, one tablespoon at a time. I ended up using only 4 Tbs. Don't forget to "whistle while you work!" 3. 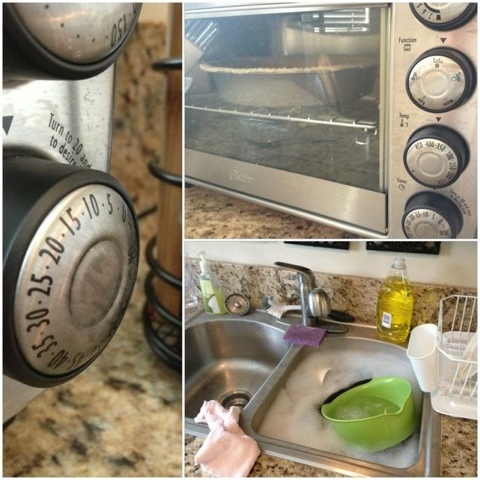 Now I'm going to teach you a cool trick that even Snow White didn't know... Get some plastic wrap and lay it on your clean counter (if it slides around, just put some water underneath it). Next, sprinkle a little flour and roll your dough out on top of the plastic wrap (rolling from the center of the dough out to the edges). 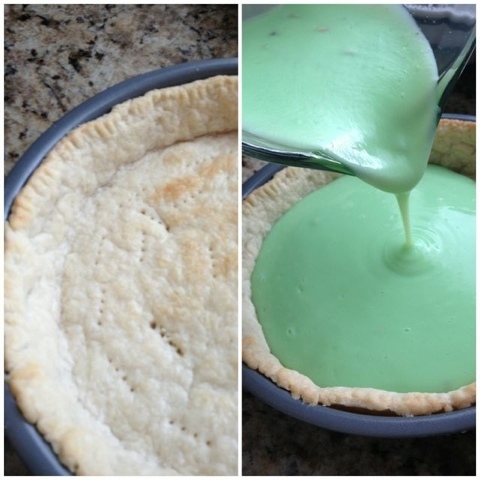 Now you can easily lift the dough and place it in your pie pan! Neat, huh? 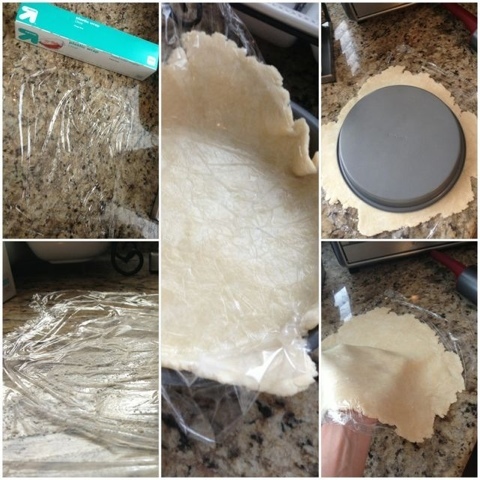 This is also a good way to store more pie crust (just put another strip of plastic wrap on top)! 4. When your pie crust is in the pan, cut off around the edges (seriously, this really is something I learned from Snow White). Fill in any spots that might be lacking dough and make it pretty. 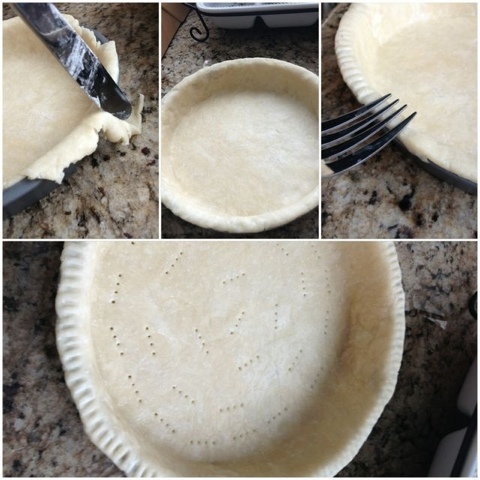 Now get your "bird feet" and circle the pie crust. Also put holes in the pie crust so your pie doesn't blow up in the oven (I promise I tried NOT to do a geometric shape, but I never can help myself). 6. When you've finished cleaning up a bit, prepare the pudding (Pistachio. YUM)! 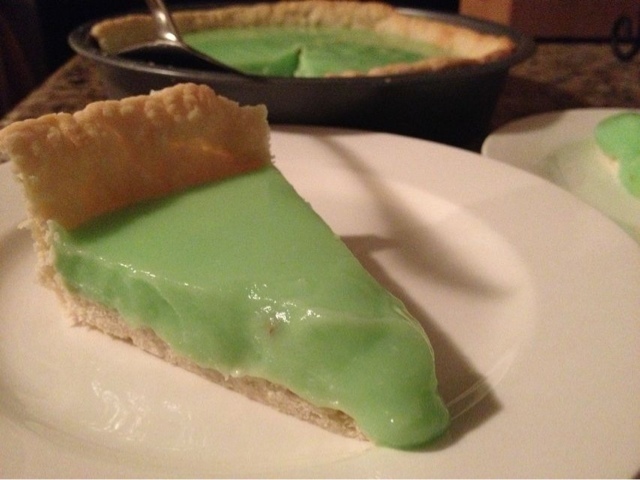 Once the pie is done, let it cool for 5 minutes and then pour in your pudding. Whoops! 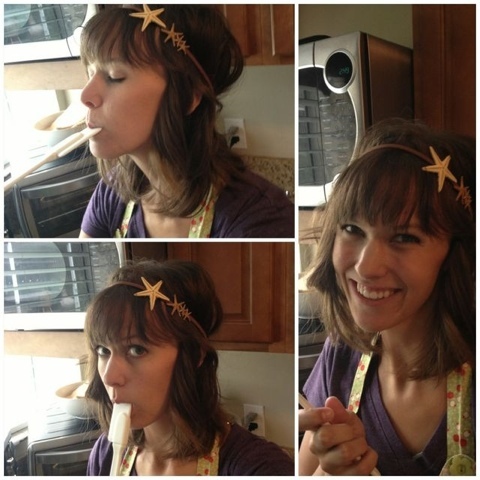 Oh, uh, just showing you what Snow White would NOT do, that is, licking the spoon... Hey, we're not all perfect, alright! 7. Let it cool completely in the refrigerator then share with Grumpy and the dwarf/ves. 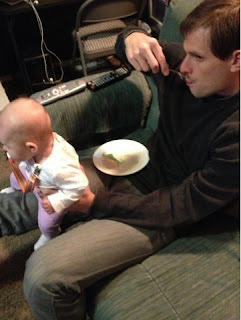 Mine sure liked it! I sang a medley of Lion King songs while I worked. What song do you like to sing while you work? This looks yummy! I've never made my own pie crust, but I want to now! It's reaaaaalllly yummy! 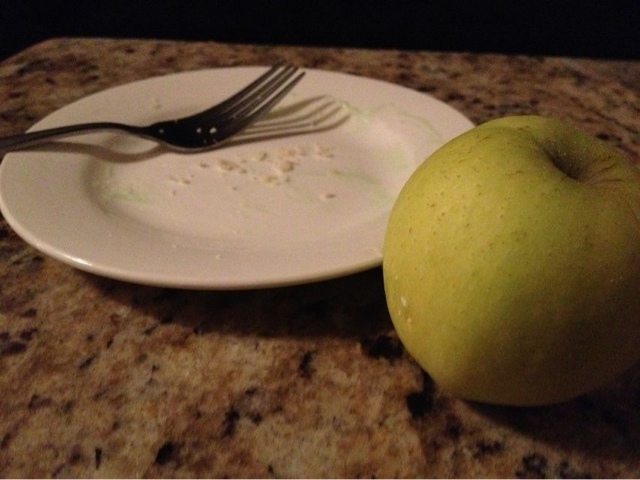 I made some apple pie with this crust once, too and THAT was amazing! You know it! Have fun!